Powerful cleaner with active ingredients. 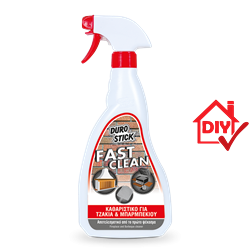 Removes stubborn stains of soot, coal, dry or burnt fat and melted wax, by just spraying, without any need to scrub the surfaces. Ideal for both commercial and residential use on grills and barbeques, ovens and fireplaces lined with fire bricks or cast iron.